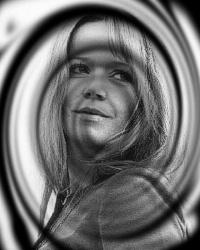 Angharad Rees CBE (born 16 July 1949, Cardiff, Wales), is a Welsh actress best known for her UK television roles during the 1970s. Her "fairy-tale" marriage to actor Christopher Cazenove added to her popularity. Angharad Rees made her screen debut in 1968, but it was for her role as Demelza in the 1970s BBC drama series, Poldark, that she became famous. In 1973 she married heart-throb actor Christopher Cazenove, who had made his name at around the same time, in The Regiment. They had two sons, the elder of whom was killed in a car accident in 1999. The couple separated but were reconciled. They eventually divorced in 1994. Angharad Rees married David McAlpine, a member of the McAlpine construction empire in 2005. She founded a jewellery design company, Angharad, which is based in Knightsbridge. She was awarded a CBE in 2004. She was also nominated for several BAFTAs, including Best Actress.